These Vintage illuminated letters came from the outside of a factory in the Czech Republic. The insides have been stripped and replaced with LED's - no need for bulb changing and they don't get hot. There is a remote control to switch the light on / off and you can also change the brightness and have it flashing at different speeds if desired. 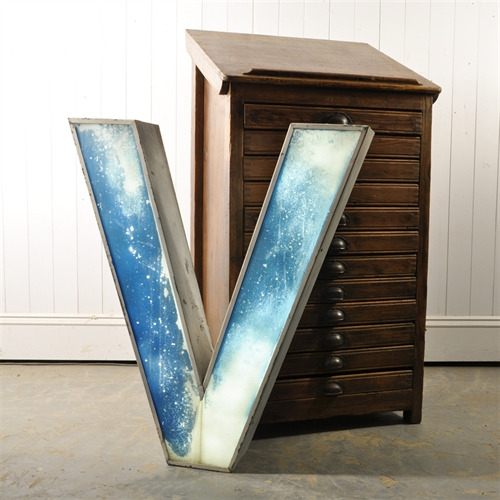 Original naturally distressed paint to the aluminium casings and the plastic screen has wonderful mottled blues and whites. There is a crack at the bottom which has been glued.